Eye exams are important for everyone even if they don’t have a personal or family history of eye problems. That’s why you need to see the eye doctors in Beverly, MA of Parrelli Optical. You won’t always know when a problem is developing, but the eye doctors at Parrelli Optical have extensive experience in offering you an eye examination with the most technologically advanced equipment possible. Because of this, your eye doctors will be able to detect a problem in its earliest stages when it is most likely to be treated before there is subsequent damage to the eye. Eye examinations aren’t just for finding problems. 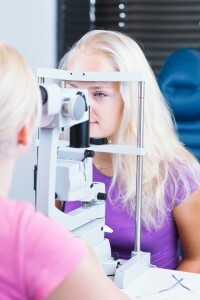 If you are currently wearing corrective lenses, you may have noticed that they become less effective as time goes by. These are also times when you need to make an appointment with the eye doctors at Parrelli Optical. They are specialists who will determine your new prescription, but they will also perform an in-depth examination to make sure that everything is well within your eyes. The eye doctors at Parrelli Optical are special because they are involved in your care right from the beginning. They have years of experience in their field and are members of various optical associations. Founder John Parrelli is a member of three such organizations, including the National Academy of Opticianry, the Opticians Association of Massachusetts and the Contact Lens Society of America. The eye doctors at Parrelli Optical are also instrumental in discovering other problems with their patients’ health. During the examination, our eye doctors pay close attention to the retina where signs of ill health can be discovered, such as diabetes, hypertension and high cholesterol. Visit our eye doctors in Beverly, MA at Parrelli Optical to make sure that your overall health is as it needs to be.